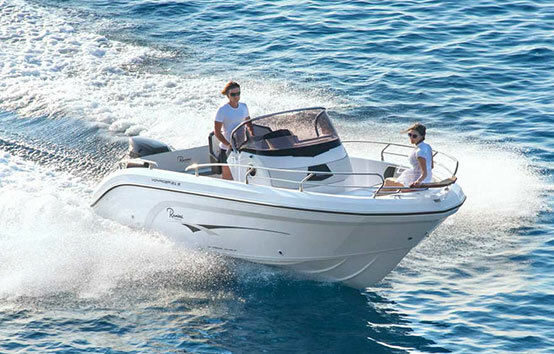 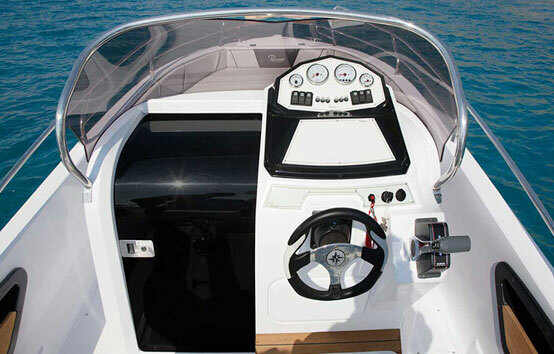 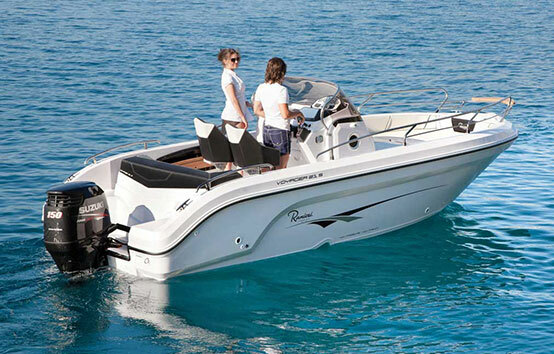 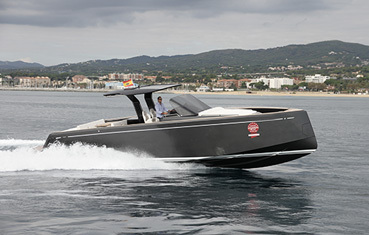 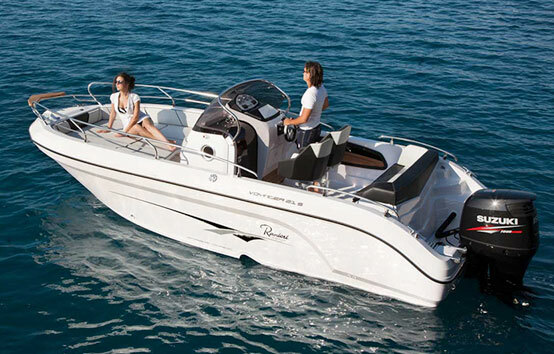 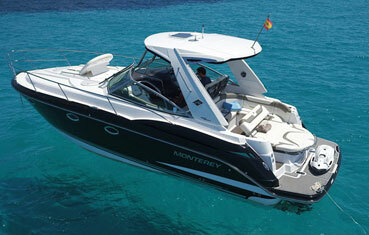 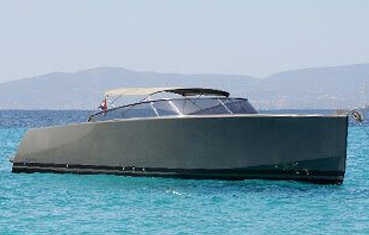 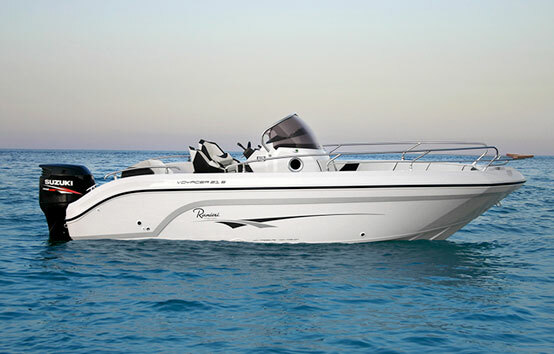 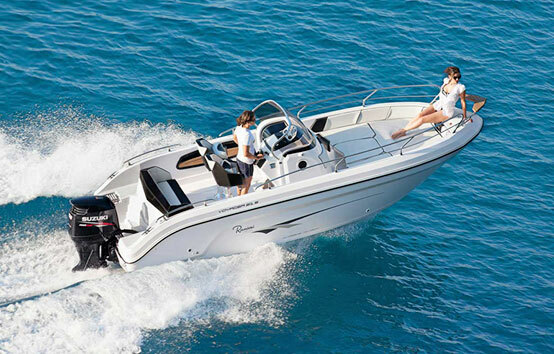 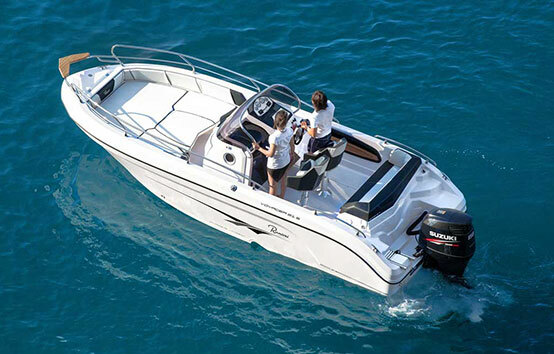 The RANIERI VOYAGER 21S brings forward a new generation of DELUXE Centre Console Boats. 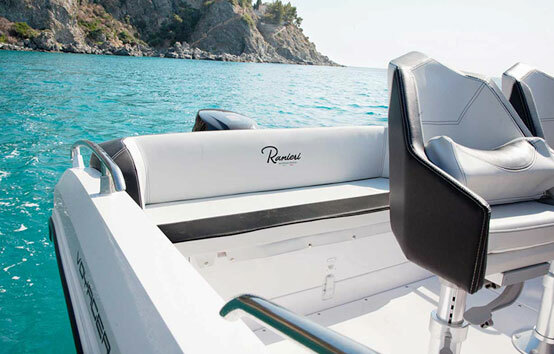 The RANIERI VOYAGER 21S brings us more towards a defined Luxury Yacht Line: incomparable experience in the field of Centre Console Boat design. 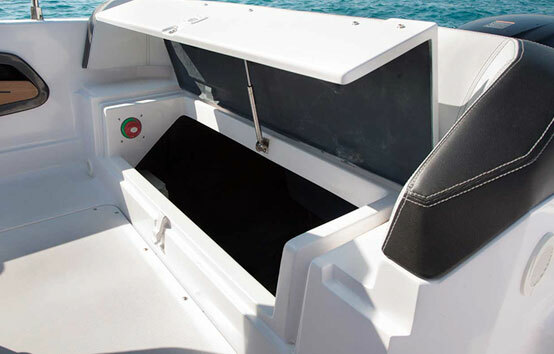 The Cabin features a sea toilet and optional fridge, and is ideal for sheltering and storage. 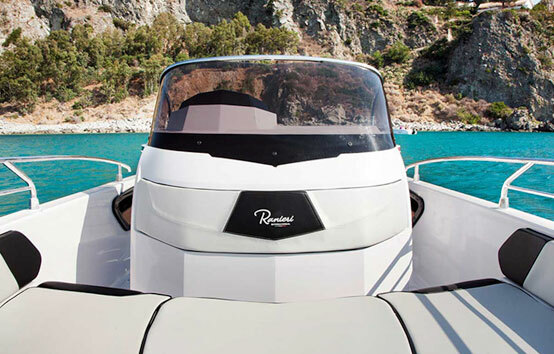 The sculpted console reinforces the overall style: a distinctive RANIERI: Made in Italy exclusive design and quality!. 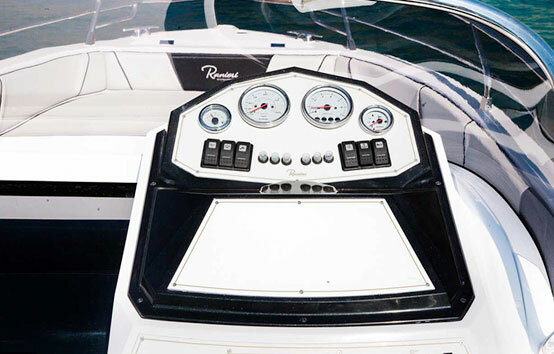 Bimini, Stereo system, Front sunpad cuschions, Fuel gauge, Navigation lights, WC cabinet in oak, N° 2 porthole consolle, Bench with folding back, Automatic bilge pump, Port objects, Redan hull HIS, Withe hull, Telescopic ladder, Complete set of staineless steel handrail, External tapestry, Side pockets, Mechanical steering, Electric horn.